The Mankind Bike Co. "Early Bird" BMX Frame is Daniel Tünte's signature BMX frame and is a super tech street frame, which Mankind worked on with Daniel throughout 2015 to make it fit his highly technical & contemporary riding style. 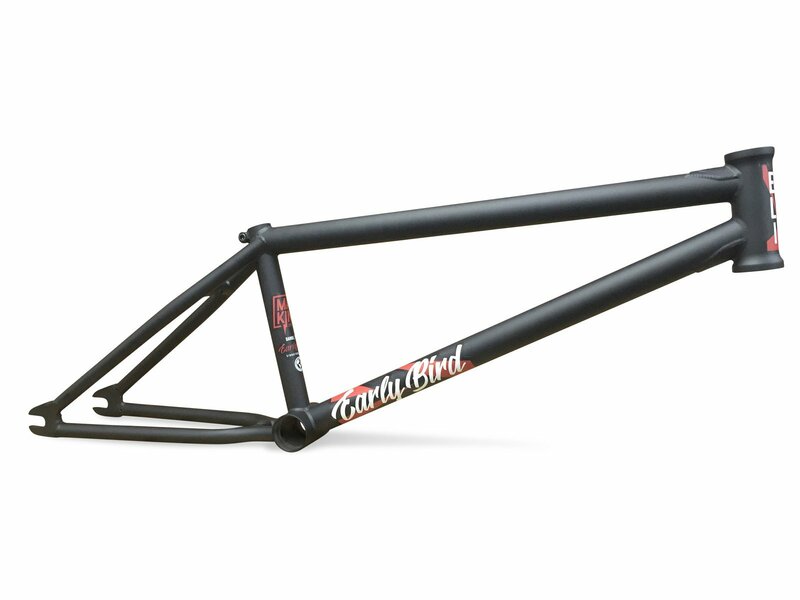 The Mankind Bike Co. "Early Bird" BMX Frame features a quick and responsive geometry with 75.5° HT, 13.3 CS and 11.75° BB height. Custom TT and DT gussets, custom CS and SS Bridges and 6mm CrMo dropouts.